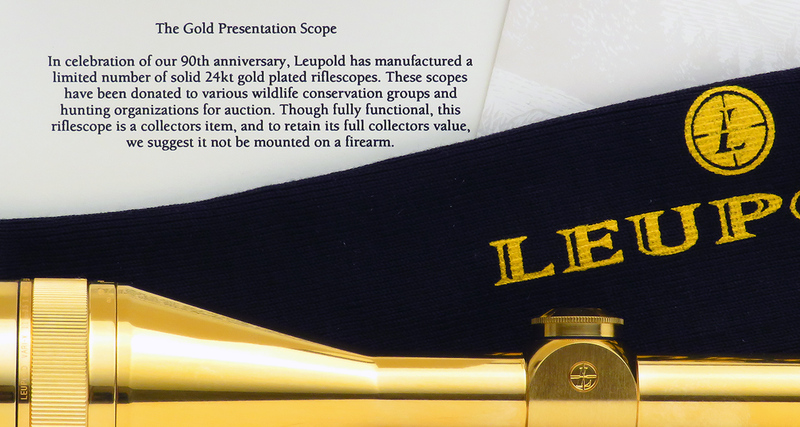 Leupold Gold Presentation Scope, 24K, one of twenty created to commemorate 90th Anniversary in 1997, pristine in display case - Sportsman's Legacy, Fine firearms, related books and sporting collectibles. Representing estates, collectors and nonprofit conservation organizations. 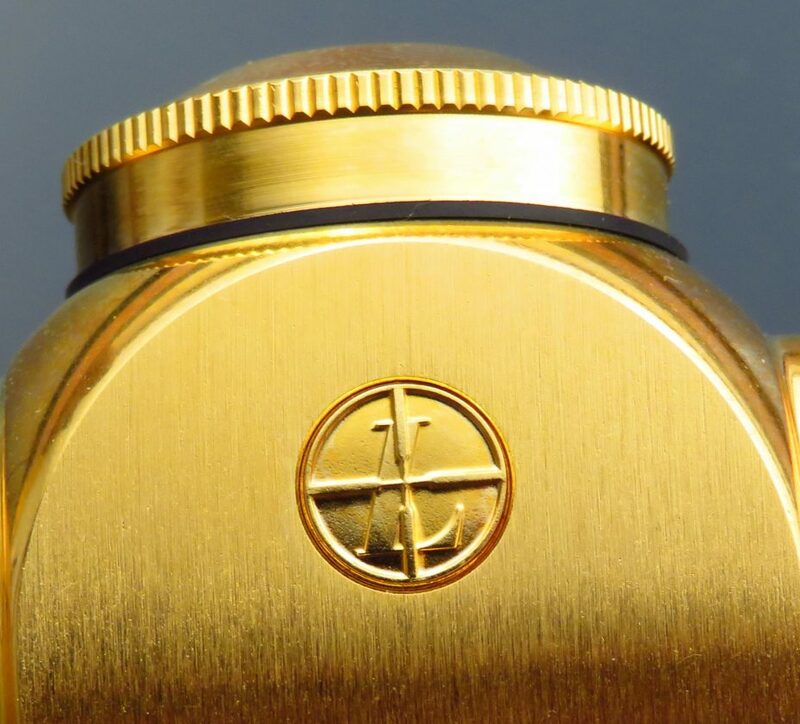 Leupold Vari-X III 3.5-10x50mm Gold Presentation Scope. 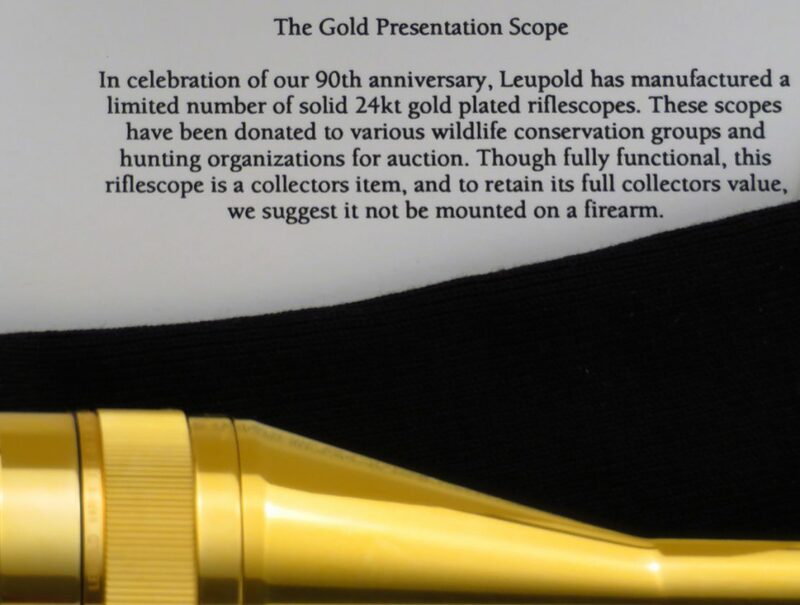 To commemorate their 90th Anniversary in 1997, Leupold created an edition of 24K gold plated scopes and donated them to various national wildlife conservation, hunting and pro-gun organizations to be used as fundraising vehicles. Just twenty were produced. The program was very successful, each bringing $6,000 – $10,000 at the time. 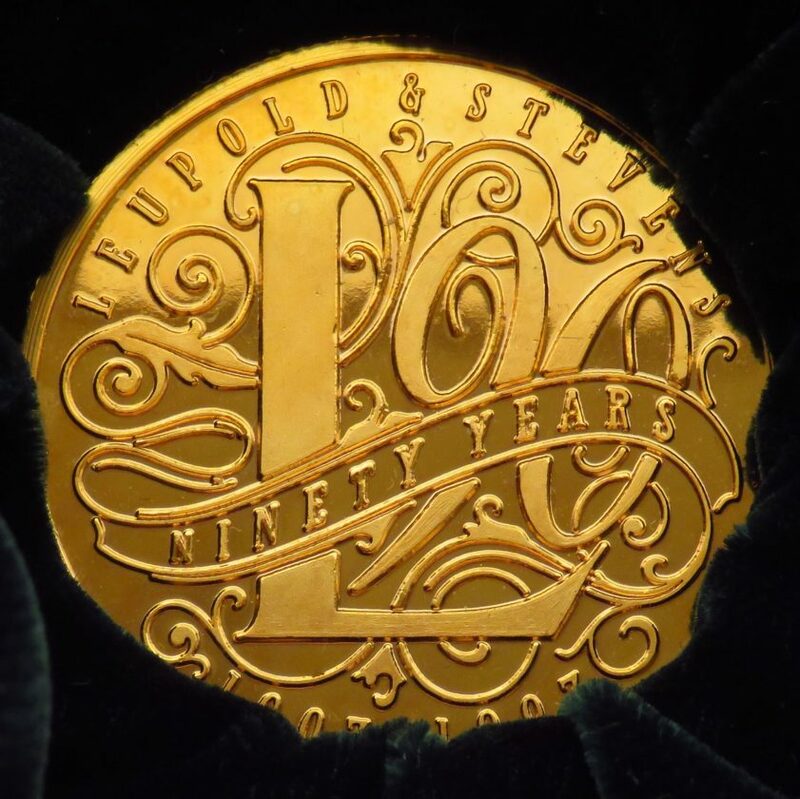 This particular example remains in pristine condition, rests in the original presentation box and includes the 90th Anniversary medallion, protective logo slip and informational card. The turret is marked “1 of 20”. The price is firm and layaway is available. $5,000 plus shipping.